Parsley must be one of the most overlooked herbs around. I'm guilty of forgetting about it, until the first frost kills off every other late-season green, and there it stands, proud and bright against a desolate backdrop. 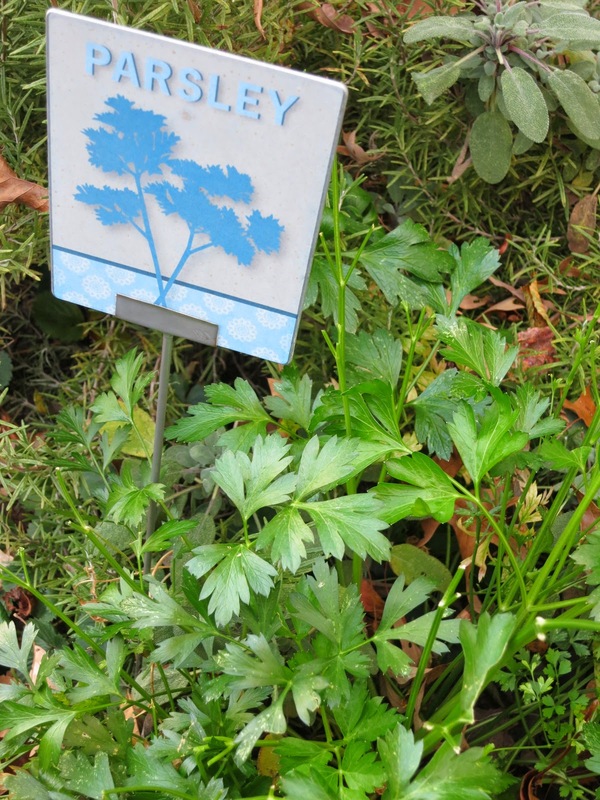 Parsley is one of the hardiest herbs in the garden. With little to no care, it springs back on the chilliest fall days. Though too often relegated to the side of the plate, poor parsley packs enormous potential. It's full of vitamins K, C, A, iron, and folate. It has virtually no calories, is full of fiber, and even freshens your breath. Pick or buy a bunch, stuff your bird, and spruce up stuffing; but save some for the desperate days-after, when anything but turkey will do. Flat-leaf and curly varieties are easy to grow and may also be purchased. Flat-leaf is said to have more flavor, but I love both. Parsley stores well in the refrigerator for at least a weak. A spritz of water will revive it. 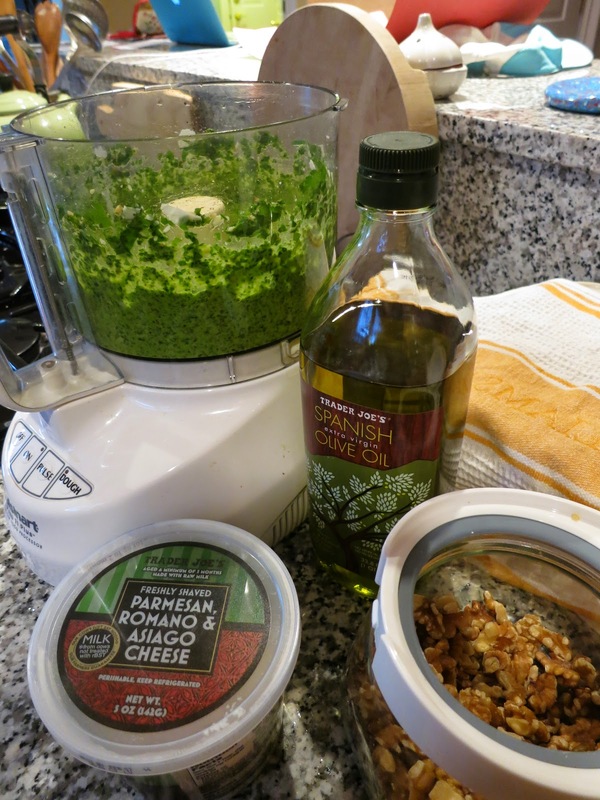 Parsley pesto with pasta couldn't be simpler to prepare. Serve it to turkey-weary diners for a post-Thanksgiving Treat. Just a few ingredients make a delicious meal. Serve with fresh pasta and sliced cherry tomatoes. Pesto may also be frozen for later use.